Paying tribute to the symbiotic relationship between the court and the street, the Jordan Future blends one of the most iconic designs with a one-piece woven upper to create an entirely new look. The deconstructed upper forgoes a heel counter and toe enforcer for a futuristic, minimalist style. 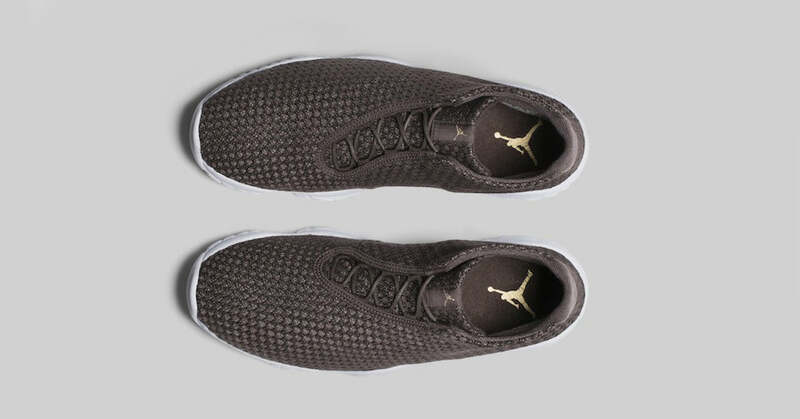 The newest Jordan Future Premium gets a brand new colourway, featuring a Baroque Brown woven upper on top of a white midsole.